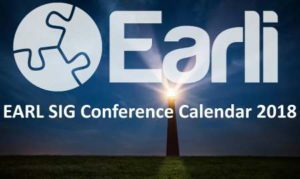 The European Association for Learning and Instruction (EARLI) has 27 Special Interest Groups representing researchers who study one or more parts and/or aspects of the field of Learning and Instruction. One of the main goals of EARLI is to encourage communication between researchers through Special Interest Groups. The SIGs support activities such as the biennial conferences you can view on this page. Conference has already taken place. Please find interesting Research Paper here.